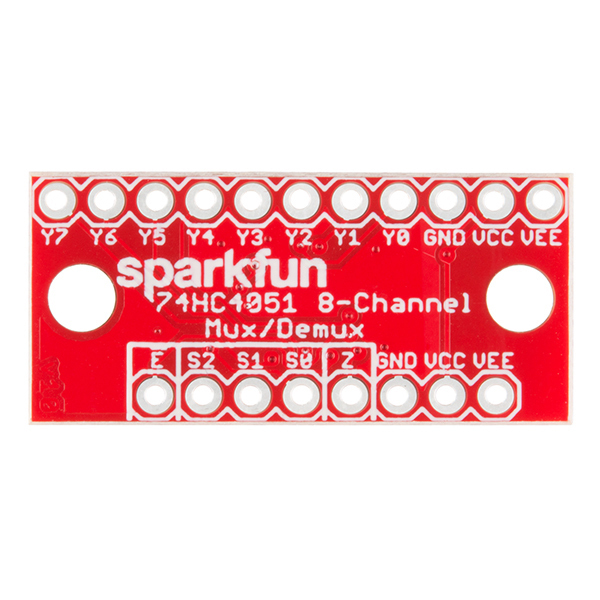 The SparkFun Multiplexer Breakout provides access to all pins and features of the 74HC4051, an 8-channel analog multiplexer/demultiplexer. The 74HC4051 allows you to turn four I/O pins into eight multifunctional, individually selectable signals, which can be used to do everything from driving eight LEDs to monitoring eight potentiometers. The 74HC4051 can function as either a multiplexer or a demultiplexer, and it features eight channels of selectable inputs/outputs. The routing of common signal to independent I/O is set by digitally controlling three select lines, which can be set either high or low into one of eight binary combinations. One half of the board breaks out the control signals (E, S0-S2) and common input/output (Z). The other side provides access to all eight independent I/O’s (Y0-Y7). Both sides include supply and ground connections (VCC, VEE, GND). A simple IoT test to monitor analog values of 6 potentiometers from multiplexed ESP8266 NodeMCU, then post it on social media. A simple IoT test to multiply analog pin of NodeMCU with IC 4051 then send its value to DeviceHub.net. Ummm. Is this an early April Fool's joke? Why would anyone buy this when you can just buy a DIP version of this chip for under 1/3 the price? 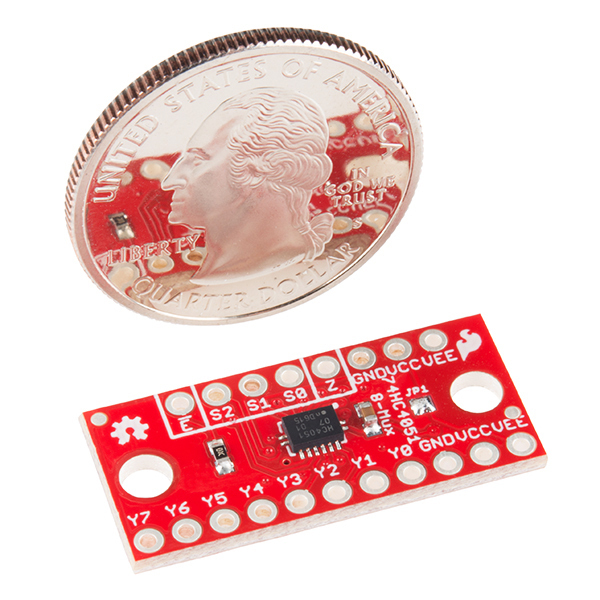 Personally, I'd gladly pay a little more for a breakout board than a bare chip most of the time. I have limited time (and patience) for my electronics hobby and I'd rather put my effort towards being creative. It's sort of like the calculator philosophy -- I know I can do the math by hand, so I don't feel concern letting the calculator do the work. It's the same reason I buy Arduino boards instead of bare Atmel chips most of the time. There's a huge difference between an Arduino board and a bare Atmel chip. There's all sorts of extra components you need to even use an Atmel chip. However, all this is is just the chip on a board with the pins marked. 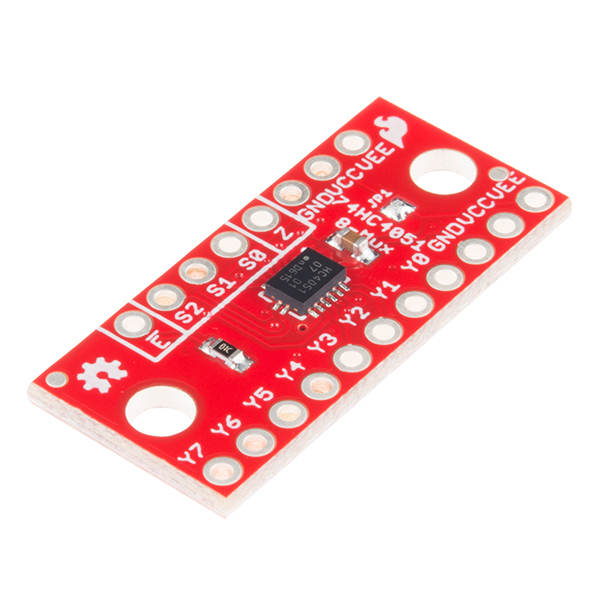 All you need to use a DIP 74HC4051 is the pinout which you can just get from a datasheet. the reason is very simple: you are at their website... they are not at your. How many of these can I daisy chain? Complete NOOB question so thank you for your patience in advance. 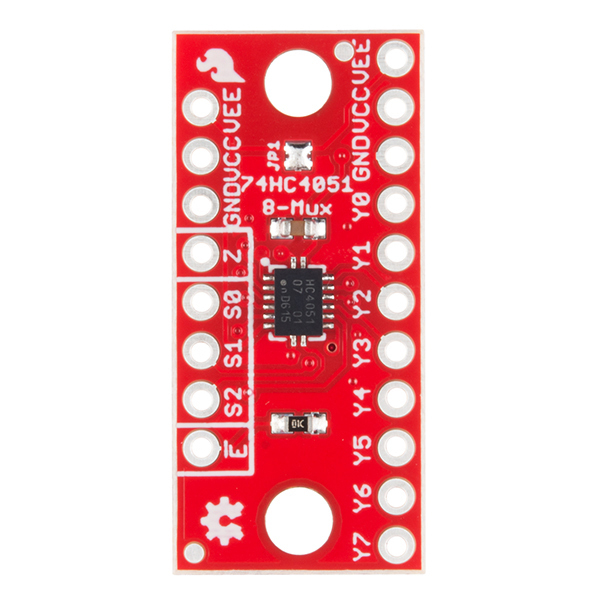 I need to run a single 7 segment display like this one: https://www.sparkfun.com/products/8546 It looks like I can use this board to drive the display. Is that correct or is there another chip I should use? Thank you for your help. What happens if you leave the S pins floating? Something that actually delivers on its claims!